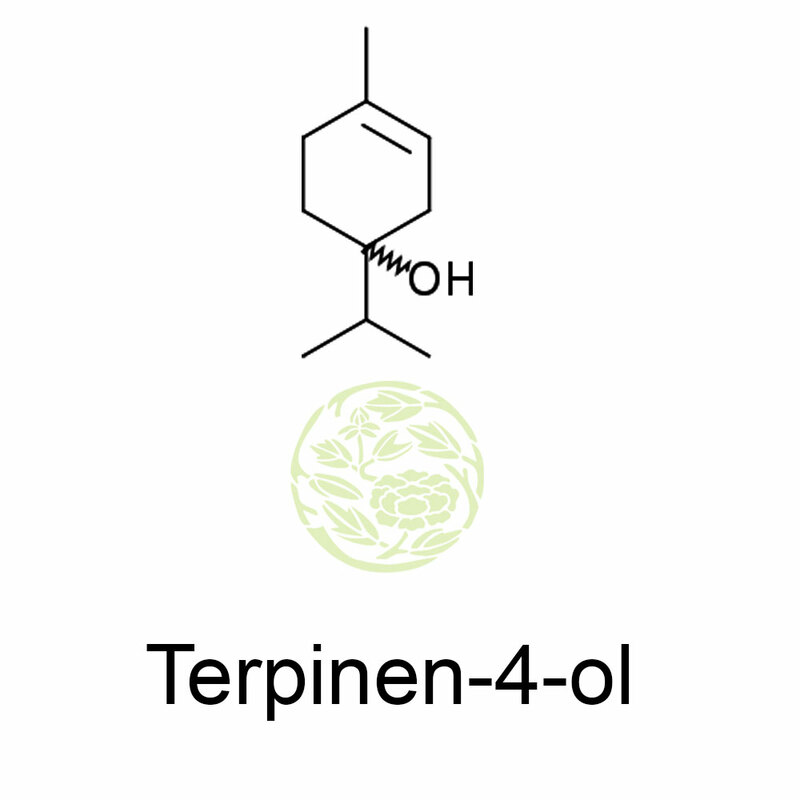 Terpinen-4-ol is a terpene with a molecular weight of 154.249 which has an antibacterial and antifungal effect. It is the main active ingredient of tea tree oil and it is also the compound of highest concentration in the essential oil of nutmeg. Terpinen-4-ol happens in Juniperous communis and the wood is highly resistant to rot because of this. In Norway, farmers use this wood to make fence poles out of juniper. Even though the concentration is higher in the alpine subspecies of juniper it happens in both the subspecies. Tea tree oil has great anti-inflammatory properties and the essential oil is extracted from the Australian native plant, Melaleuca alternifolia. Studies have shown that the main active component of tea tree oil, terpinen-4-ol, can induce caspase-dependent apoptosis of melanoma cells and this effect was seen in the resistant cell population. Tea tree oil and terpinen-4-ol can damage the growth of human M14 melanoma cells and is more effective on their challenging variants which state high levels of P-glycoprotein in the plasma membrane. Some of the other properties of terpinen-4-ol like its role as a biocide are researched in different parts of the world. Terpinen-4.ol is good for superficial skin infections and it has therapeutic effect in acne. It is an effective inhibitor of acetylcholinesterase which is a property that may explain its insecticidal effects in the treatment of pediculosis. Tea tree oil is available as a skin care or oil and is found in soaps, bath additives, shampoos and conditioners. It is also found in topical treatments for bacteria, fungal and viral infections. 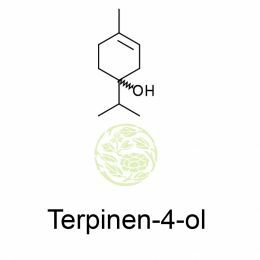 Terpinen-4-ol which is found in abundance in tea tree oil is widely used for the treatment of psoriasis, dermatitis, plantar warts, sunburn, thermal burns, bruises, bedsores, muscular strains, arthritis and diabetic gangrene. Some people inhale tea tree oil for asthma, bronchitis and laryngitis. Tea tree oil is used as a component in toothpastes and mouthwashes. It is used in cleaners and deodorizers. Tea tree oil can be used for many hair problems also. It is popular to soothe the itchy scalp and offers problems for many hair problems like dandruff, cradle cap, baldness, head lice etc.